Among other meanings, rectitude also denotes the state or quality of having a constant direction. Like a Samurai, the writer must also keep to a code of honour. With regards to rectitude, a writer must commit himself to constant learning, exploration and discovery. Now, I would hardly call myself a Sensei (master) in the art of writing. So occasionally I must bow and allow myself to be taught. Should I call it a creative mind’s recession period? There is a time when a writer’s mind becomes a burden to the writer; a period when the creative mind can’t generate even a single idea. You can spend the whole day staring at the iron sheets hoping that just like the manner from heaven, ideas will appear from no where onto the iron sheets, or scratch your hear furiously – almost uprooting it all – but still, nothing comes out. The long page is white and blank. It becomes impossible to go past that first page. What are you supposed to do at this point? Some writers will advise that you take some time off. Go to the library, take a walk at the sandy beach, surf the net – or do anything – just anything to motivate your mind. I learned one formula from Rob that could help overcome search condition. It is called the RnR formula. It is easy and fun. This formula was discovered by Rob and his partner Robyn, hence the RnR (Rob and Robyn) formula. You can come up with a full – and I mean a full compelling story, in ten minutes – out of nothing. The trick here is draw the story out of your subconscious – just keep on asking your mind questions and it will produce answers. There are three stages to it. Sit in a cool place away from any form of distractions. Lean back and relax. Don’t let your mind think of anything at this point. Hold it for like three minutes; perhaps staring at the clouds, the neighborhood or just relaxing. Then think of any name. You do not have to harass your mind produce a complicated name – like… Okusambale or Chibuliete – just pick on the first name to hit your mind – say, David. Now, ask your subconscious, what profession does this name resemble? Do not be in a hurry. Wait for the subconscious to give you an answer; perhaps a pastor – good. How about you introduce a contradictory item like – may be a gun?! Again relay on your subconscious for answers. What the hell would a whole pastor be doing with a gun? Killing his faithful – no, that is strange. Maybe he only wants to save his daughter from some kidnappers that have held her ransom. They asked for a ridiculous amount of money that he can’t raise in the specified period – and so, to him, the only way to save his daughter is by facing the kidnappers head on! Once you have all this information, you can now move to the second stage. You have David – a pastor forced by circumstances to drop the bible and pick up a gun, to save his daughter from the hands of dangerous criminals – the kidnappers; but will all this be that easy? At this stage, you get to create the obstacle. It is only at this stage that the readers will decide whether your story is good or a waste of time – depending on how your hero/heroin face and overcome the obstacles that face them. So, how can we create obstacles for David? First, it is a crime in Kenya to posses a firearm without a license and that means the police will be after him if they know he has a gun – that forms the first obstacle. Secondly, the criminals he is dealing with are not amateurs, they will not let him rescue his daughter with no opposition. They are professionals, determined to make money out of a kidnapping. That becomes the second obstacle. He is putting his life and his daughter’s at risk by going after them. Third are his church members. Most of them will criticize him; a pastor, who has been preaching against murder, now turned into a murderer, albeit for a good reason, but still he will have his church and the community at large to deal with – and this forms the third obstacle. You can form as many obstacles as you like provided you will guide your hero through them appropriately. At this stage, you have to ensure that after the obstacles facing your hero, he emerges out strong. How does he come out of every obstacle that he faces? And does he accomplish his mission? Maybe David gets to the criminals first before the police gets him. After a long struggle, he manages to save his daughter and kill the criminals. He does not care anymore – even if the police, his church or the whole world is against him, he knows one thing for sure – his daughter and other people’s children are safe from this gang of kidnappers. These are the stories that made the cut into the semi finals. They are not in any order, so please read all and vote on them. 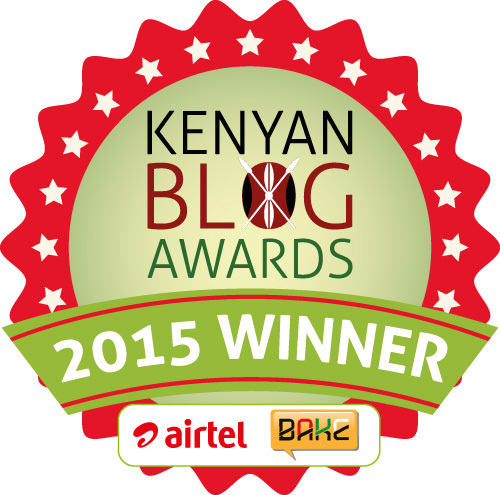 This entry was posted on December 14, 2010 by Storymoja Africa in Writer's Blog.